When a person looks at a woman’s face, more often than not the first thing he or she notices are her eyes. The eyes are the windows to the soul, as they say, and they are the brightest and the most beautiful features in a woman’s face. That is why the eyes are given much attention when eye makeup is applied to her face and the choice of eyeshadow and the way it is applied is always done with great care. After you are done with the foundation, dab on the base color for your eyeshadow, covering the whole lid and the brow bone. 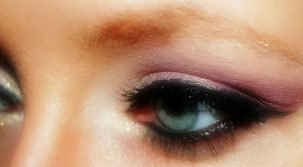 Follow it with the main color for your eyelid. The highlighter comes next, but do take care how you put your highlighter because if applied the wrong way, your highlighter can make your eyes look too big and too beady. Keep your highlighter to the outer edges of your eyes. Also, avoid putting highlighter on your brow bone, unless you are putting on makeup for an evening affair or going to a photo shoot. 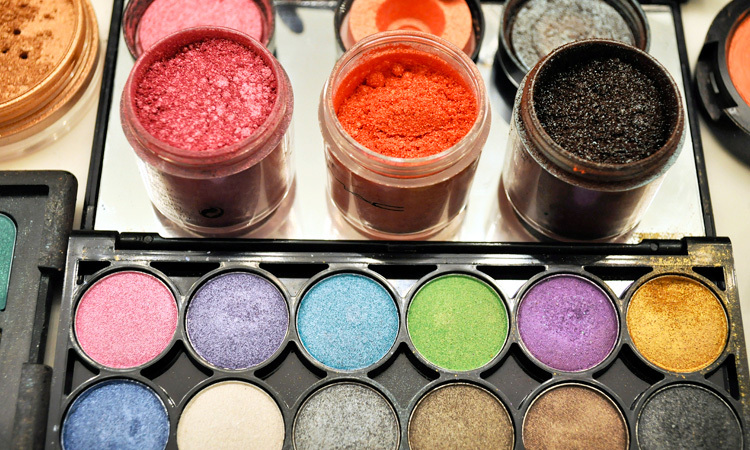 Blend the three shades of your eyeshadow carefully so they appear to smooth over each other. As for your eyelashes, the proper application of mascara on them will do a lot in making your eyes pop. Mascara extends the length of your eyelashes and makes them appear thicker. 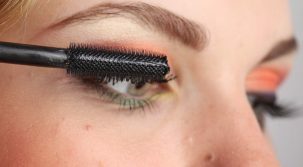 Curl your eyelashes first with an eyelash curler before putting on your eyeshadow so the thing would not botch your carefully blended eyeshadow. Put just enough mascara and wipe away excess mascara from the applicator before putting it to your lashes so that your lashes will not clump together. Also, use smudge-proof and waterproof mascara so that it will not run if ever tears come to your eyes, especially when you are wearing contact lenses. To finish it off, line your eyelids just under the lashes with eyeliner. If you want special touches to your eye makeup, you can put on a little shimmer on your eyes to make them appear brighter. If your age lingers around 30 and above, however, use shimmer with caution because shimmer can attract unwanted attention to the wrinkles around your eyes, if you have them already. Special occasions require special touches on your eye makeup, though, and in that case, you can put a little amount of shimmer on your brow bone. You can further brighten your eyes by drawing a dot or two with white eyeliner or eyeshadow on the inner edge of your eyes. Another thing you should remember when putting on eye makeup is to go for balance. If you are wearing bright red lipstick, tone down your eye makeup. In fact, you can completely forego wearing eye shadow and just stick to mascara and eyeliner if you are wearing red lipstick. Wearing red lipstick and dark eyeshadow will only make you appear like a clown. In putting on makeup, we should take care how we put on our eye makeup and how we apply eyeshadow. The eyes, after all, are the most beautiful features on a woman’s face, so we should emphasize their beauty always. Tips and Tricks With Eye Makeup and Eyeshadow Reviewed by FashionPole on October 25, 2016 .